StaxUP Storage has two locations in Alpine, California. This past week marked the conclusion of our yearly school supply drive and we are happy to announce that this year was a great success! All of the donations raised by the Alpine team will benefit children attending Shadow Hills Elementary School. 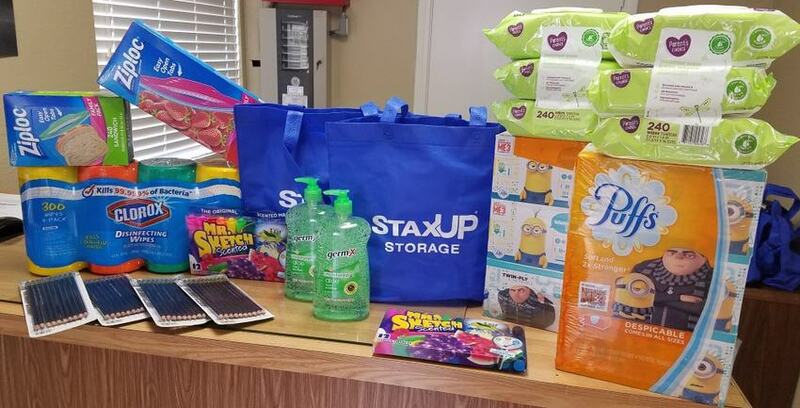 The StaxUP team in Alpine, CA collected school supplies for students at Shadow Hills Elementary. School supplies collected for the students at Shadow Hills Elementary School in Alpine, CA.